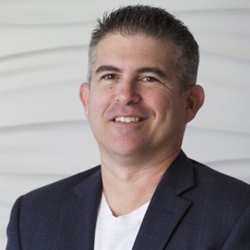 After seventeen years with the Law Offices of James Scott Farrin, Eric Sanchez is leaving his role with the firm to focus on product development with legal technology startup, GrowPath. GrowPath delivers technology designed to increase access to data and enhance efficiency for plaintiffs’ firms. GrowPath will launch its first publically available software in early 2018, GrowPath Intake, a cloud-based intake software. GrowPath Intake will feature a number of patented and cutting edge technologies to assist in the analysis of potential legal matters. “Though I love the firm, and will miss the day-to-day operations immensely, the opportunity to leverage my years of experience and incorporate the lessons learned into cutting-edge legal technology was an opportunity I could not pass up,” Sanchez said. Sanchez is an innovator, and his work developing legal technology will homogenize his experience with efficient operational systems and state-of-the-art technology. He is an inventor who holds several U.S. patents with several other utility and design patents pending and in development. In his years of service with the Law Offices of James Scott Farrin, Sanchez developed countless systems and solutions to enhance the efficient delivery of quality legal services. A highlight of his career with the firm was, In re Black Farmers Discrimination Litigation, No. 08-mc-0511 (PLF) (D.D.C.). The case was one of the largest civil-rights cases in United States history, and Sanchez designed and implemented several major administrative programs, including custom database development and management of a potential class size nearing 100,000 claimants. “Eric has succeeded in everything he has done for us, and I have no doubt he will be extraordinarily successful in his role at GrowPath,” said firm Founder and President, James S. Farrin. Sanchez received his Master of Arts in Public Policy and Administration from Northwestern University in Evanston, Illinois. He is a veteran who served in the United States Marine Corps as a non-commissioned officer. Sanchez volunteers his time for a number of causes. He focuses most of his volunteer time with the American Heart Association, and was recently appointed by Governor Roy Cooper to the Justus Warren Heart Disease and Stroke Prevention Task Force. GrowPath is a startup delivering innovative technologies for law firms. Based in Durham, North Carolina, GrowPath’s mission is to help plaintiffs’ lawyers improve the efficiency of their practices through the company’s proprietary know-how and innovative software products which provide actionable, data-based insights and streamlined business operations. The Law Offices of James Scott Farrin is headquartered in the American Tobacco Historic District, adjacent to the Durham Bulls Athletic Park, in Durham, North Carolina, with 13 additional offices statewide in Charlotte, Fayetteville, Greensboro, Greenville, Goldsboro, Henderson, New Bern, Raleigh, Roanoke Rapids, Rocky Mount, Sanford, Wilson, and Winston-Salem. The firm’s 45 attorneys focus on the following practice areas: Personal Injury, Workers’ Compensation, Social Security Disability, Eminent Domain, Intellectual Property, Civil Rights, Mass Torts, and Products Liability. Seven of the attorneys are North Carolina Board Certified Specialists in Workers’ Compensation Law and one is a North Carolina Board Certified Specialist in Social Security Disability Law. The Law Offices of James Scott Farrin is involved in the community, including sponsorship of local philanthropic organizations.